Bail bonds are not something that everyone will need to familiarize themselves with, but if you're reading this it is likely because someone you care about has been arrested and booked into jail. This little article will give you a quick timeline of how using a bail bond will get your friend out of jail and tell you what happens after that. Obviously the first thing that will happen is that the person will be arrested and arraigned. They will learn their bail amount and here the charges against them. After being booked the person will usually be allowed a phone call at this time. Unless they know a bail bond agent they will likely make a phone call to a loved one, such as yourself, asking for assistance getting released. If you were the one to receive such a call you'll need to find a trustworthy bail bond business to assist with the release. Make sure they offer multiple payment options and the lowest rates possible. Either in person, over the phone, through email or by fax you will need to complete several forms that contain pertinent information about the situation to give to the bondsman. You will also need to pay the bond premium, which is generally around 10 percent of the total bail amount. Once the paperwork is completed it will be delivered to the jail by a licensed bondsman. Processing at the jail can take anywhere from 1 hours to 5 hours or more depending on the jail capacity and current time of day. Once filed the defendant will be released. It is important that you ensure the defendant makes it to all of their court dates or your could incur additional fines. Once the person has been found innocent or guilty the bond is expelled and you have no more responsibility surrounding the bond. To learn more about the the use of bail bonds in Mendocino County, Lake County, or throughout Northern California reach out to the team at Rob Brown Bail Bonds. 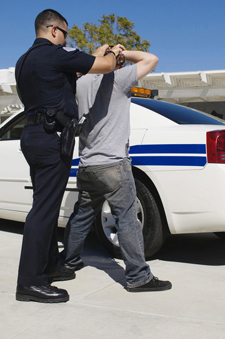 We are available 24 hours per day to assist with your needs surrounding bail bonds to get your loved one out fast. To learn more about our services or to request a bail bond in Kelseyville or the surrounding area give us call day or night at (707) 587-4563.